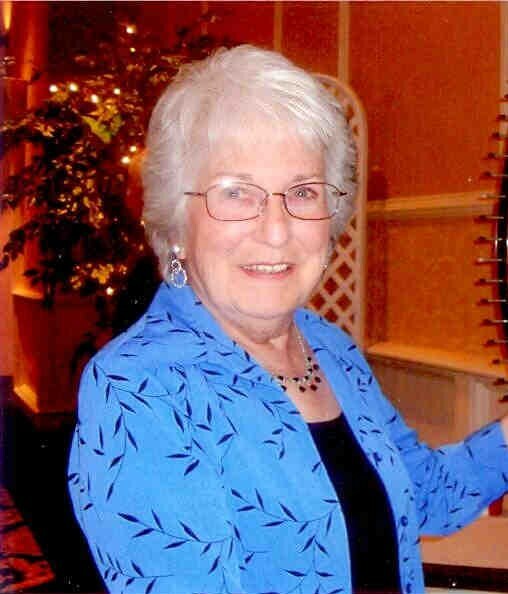 Monson - E. Marie Foster, 82, passed away, April 9, 2019 surrounded by the love of her family. Marie was born August 18, 1936, in St. Stephen, New Bunswick, Canada, to the late George E. and Verna M. (Tonge) Steeves. She has been a resident of Monson for many years. Marie was an active and faithful communicant of St. Patrick's Church in Monson. Her greatest joy came from her grandchildren and being with her family, friends and living her Catholic faith with her parish family. Marie was predeceased by her husband Seth Smith Foster III in 2005. She leaves her children: Michael A. Foster and his wife Patricia of Easthampton, David W. Foster and his wife Virginia of Monson, Raymond G. Foster and his wife Dee of Monson; Linda A. Harrington and her husband Neil of Springfield and sister in-law, Krista of Illinois. Nine grandchildren and five great grandchildren who lovingly called her "Grammy". Marie was predeceased by her sister, Pamelia Vatrano and brother, Richard Steeves. Visiting hours will be held Friday April 12, 2019 from 5-8pm in Lombard Funeral Home 3 Bridge St. Monson. The funeral procession will begin to gather at 9am, Saturday April 13, 2019 at Lombard Funeral Home with Liturgy of Christian Burial at 10am in St. Patrick's Church, burial will follow at Bethany Cemetery, all in Monson. In lieu of flowers memorial contributions may be made to St. Patrick's Restoration Fund PO Box 473 Monson, MA 01057.